How do I change my notification settings in Blackboard Learn? In Blackboard Learn Ultra Base Navigation, you can choose what notifications you would like to appear in your Activity Stream, sent to you via email, or sent as a push notification to your mobile device. For example, you can choose to be notified of new course calendar items, new messages, new content added, new gradable items, replies to discussions and more. You can also choose whether you would like to be emailed immediately after an activity occurs in a course, or have a compiled list sent to you once a day. To change these settings, follow the instructions below. 1. From the "Activity Stream" page (which can be accessed from the left sidebar menu), click on the gear icon in the top-right corner. Note: You can also access your notification settings by clicking on your profile icon and clicking on "Stream notifications" or "Email notifications" under the "Global Notification Settings" module. 2. This will bring up a side menu where you can check and uncheck any notifications you would like to receive. You can toggle between stream and email notifications by clicking on the globe or envelope or bell icons. Note: As of a recent March 7th, 2019 update, Activity Stream notifications have been broken down into additional categories-- meaning you have even more control over what notifications you would like to see. Click on the downward-facing chevrons to see the full menu of options. 3. 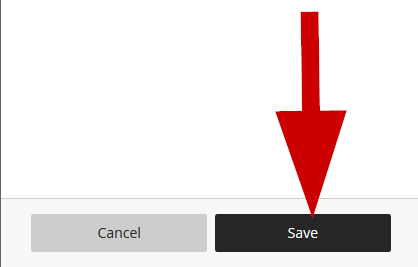 Once you have made changes, click the "Save" button.